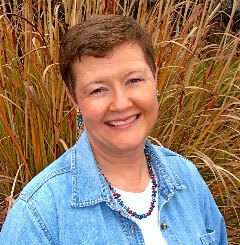 I would like to welcome author Naomi King to the blog. She is one of my favorite authors and I am so thrilled to have her here today! 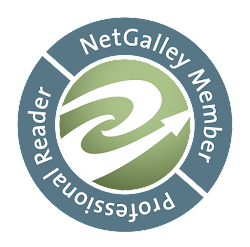 Please join me in welcoming Naomi to the blog. Thank you, Naomi, for joining us. 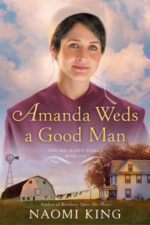 Having enjoyed your Cedar Creek books I am looking forward to hearing about how Amanda Weds A Good Man came about. You know that passage from Proverbs 31:10, “A good woman who can find? For her price is far above rubies?” Well, the same can be said for finding a good man! I know, because I married one more than 38 years ago—and without his support during my 20+ years as a writer I simply would not be writing these Amish stories today. Emotionally and financially, I have made it through some years when the soup would have been mighty thin (or nonexistent), had Neal not been willing to pay the bills so I could write. 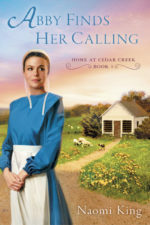 These days, writing two series for two different publishers—when Amish books are such a hit—are the frosting on the cake for me. AMANDA WEDS A GOOD MAN comes out on Neal’s birthday, and I would be remiss if I didn’t give him a little plug here, and a big birthday kiss! As for my new book, AMANDA WEDS A GOOD MAN, it has an interesting story! Do you remember the TV series, The Brady Bunch?? It was a story about a gal with kids who married a guy with kids, back in the day when blended families were more the exception than the norm they are today. Of course, the episodes were funny and highly idealized, and the Brady Bunch solved their problems by the end of each weekly episode. 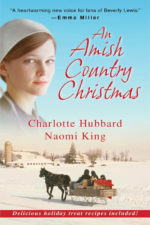 My editor and one of the reps who sells for my publisher, NAL approached me with this idea: you know Amish widows and widowers with kids remarry and combine their families, yet they hadn’t seen any books with this premise—would I want to write one? When someone hands you a fun idea like this, the answer is always yes. 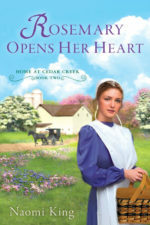 My challenge was that I was already two books into my At Home in Cedar Creek series, and I had readers clamoring for the day when Abby Lambright and James Graber finally get married! I could not let that story go untold. So I had to figure out a way to work Amanda and Wyman’s story into the world I’d already created. Don’t be confused about the new series name One Big Happy Family, which is on the cover! The marketing department is calling this a “sub-series,” thinking it’s a new way to improve sales. I’m not so sure about that, as I’ve gotten lots of notes from readers who think I’ve abandoned my original Cedar Creek characters. Not so! But in order to write the “Brady Bunch” idea, I had to go along with the “sub series” idea. I believe I’ve created a wonderful new family—Amanda is Sam Lambright’s cousin, so she’s related and lives in Bloomingdale—that adds more drama and interest to the folks you’ve come to know and love in this Cedar Creek series. Wyman Brubaker is indeed a Good Man, but it’s up to Amanda (and Abby!) to show him how he must change to create the big, happy family he and Amanda envision when they marry. It’s much more than just taking Amanda, her mother-in-law, and her three daughters into his home with his five kids—which becomes very crowded, and only has one bathroom! It takes a lot of adjusting and loving and seeing things from other family members’ perspectives—and a devastating storm, and a really cranky bishop—to bring the newly blended Brubaker family to a better place. And I must admit that Wyman makes these changes more willingly than a lot of real-life Amish husbands might. He gives up a lot to make Amanda happy because, in the end, he believes that loving his wife well is akin to loving the Lord—no matter what his bishop tells him! The Brubakers do live happily ever after—and they will appear again in EMMA BLOOMS AT LAST, which comes out in the fall of 2014! I’m writing this book right now, and I’m delighted that because Amanda’s family has come into this series, James’s sister Emma has found someone to love. So stay tuned! Wow! I am so excited about Emma's story coming next fall! It is also a relief that Abby, and all the characters I loved from that book, will still be around. Thank you so much for stopping by my blog, Naomi King.